Fastly allows you to change your account's company name at any time after it's been created. IMPORTANT: You must be the account owner or be assigned the role of superuser to change your account name. To change the company name, follow the steps below. 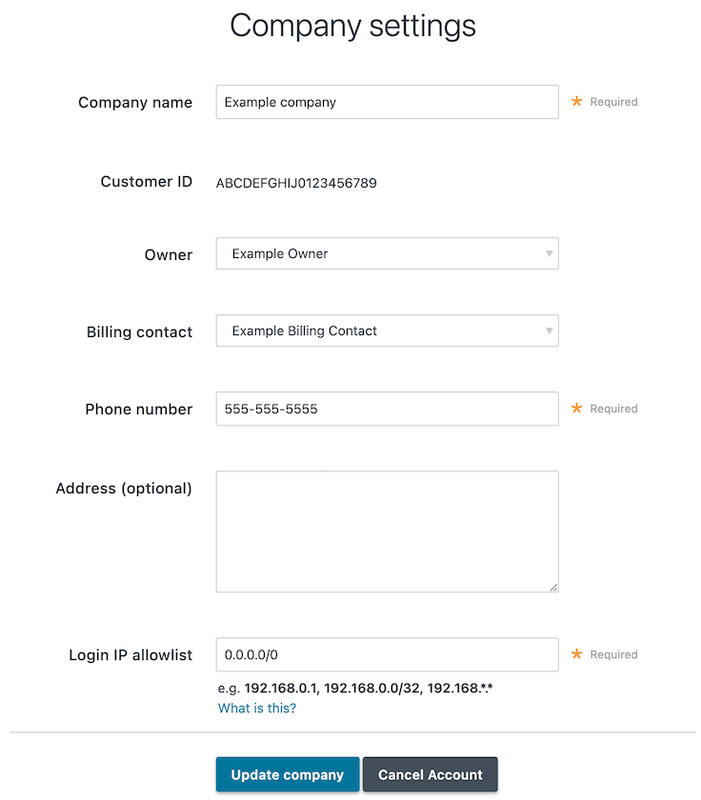 In the Company name field of the Company settings area, replace the current company name.